This activity-packed, modern-day cruise port located North-West of Puerto Plata called Amber Cove, Dominican Republic is worth a visit on your next cruise ship itinerary. The port is not even 3 years old and it’s already beloved by the over 1 million cruise guests that have visited it. The port which belongs to Carnival Corporation and all its cruise brands is worth every penny of the $85 million spent creating it. Evidenced by the architectural wonder bore by the port. It’s building’s designs imitate the Victorian, Colonial and Spanish fortress architectural designs. This gives off an exciting historical vibe about the place. The cruise port has a large shopping area, a giant swimming pool, and swim-up bar, with restaurants and bars. On top of that, it offers an array of fun activities such as ziplining and a waterslide. Additionally, there are more than 40 excursions offered by Carnival Cruise Line. These excursions help you explore the surrounding Dominican Country. Which is rich in scenery, culture, and history. The town of Puerto Plata, unlike her famous counterpart Punta Cana on the Caribbean side, had long been forgotten as a cruise destination. In fact, before 2015 the little quaint Dominican town had last seen a cruise ship in 1985. Carnival desiring to expand it’s eastern Caribbean cruise itinerary saw this as an opportunity. And decided thus created Amber Cove in 2015. 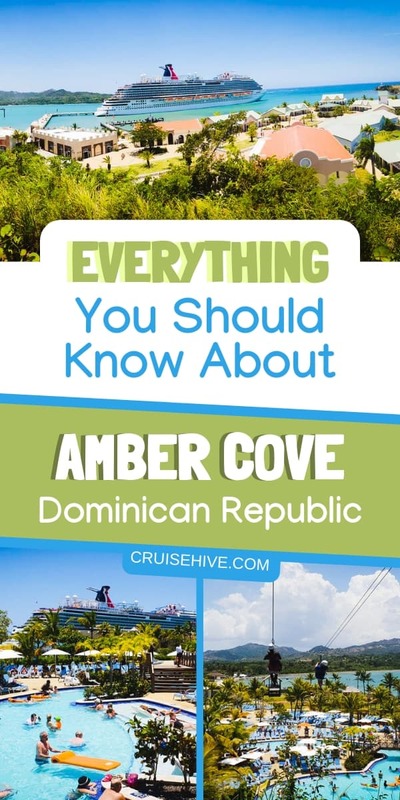 Amber cove lies on Maimon Bay, on the northern side of the Dominican Republic. The Port is named after the precious amber stone mined in the area, that comes from fossilized tree resin. Read more about the first ever Carnival cruise ship that called in Amber Cove. A concrete pier leads you to the port from the ship. The first view you get from the pier is of the beautiful rolling hillside of the Dominican Republic and a coastline dotted with palm trees. To the right of the pier is where you find the floating cabanas, which go for about $300 a day. They are beautiful and almost resemble the ones you see on the beautiful postcards of the magical Maldives. The cabanas are spacious air-conditioned bungalows. They come with amenities such as a couch, TV, fresh-water shower stand, a mini fridge, loungers, and access to a private wait staff. Best of all you get to swim and splash in the ocean waters right off of your porch. At the end of the pier is the Caribbean Fortress like entrance. Which leads to the shopping area. The market has recognized stores such as Diamonds International. The 25-acre cruise port features a large swimming pool area called the Aquapark. Where there are plenty of sun loungers and private cabanas. The pool features a swim up bar that is connected to Coco Cana, the main bar, and restaurant at the port. You can actually get all your Dominican Republic Souvenirs from Amazon right here. On the hill looking over the swimming pool area is a hilltop bar called bar360 that gives you a 360-degree panoramic view of Amber Cove and the surrounding areas. From there is where the Ziplines run’s from, you can soar over the pool area in an adventurous whizz down the line. You will be charged $20 for an all-day pass at this facility. A little bit under the Ziplines is where the water slide is at, which is free. You should try it, it’s a lot of fun sliding and winding through the pipes, hearing the rush of water, and the excited sounds of other people in the tubes with you. See what you can do at the Carnival cruise port including shore excursions, adventures, exploration and even chilling at the beaches. The purpose of a vacation is to relax, slow down and unplug. So why would you fill it with to-do lists, plans, and checklists? Sometimes the best fun is had when you are not trying too much and that is exactly what Amber Cove offers you. A relaxing time at a beautiful Caribbean port. For a restful day at the port, you can opt to head on over to the aqua park and relax on one of the many loungers around the pool. Order a drink from the many available waiters and when it gets too hot, get into the pool. Show of your mad volleyball skills, in a volleyball game in the pool or volleyball pitch. Or float around lazily jamming to the tunes of Dominican music playing in the air. When you get thirsty, swim up to the swim up bar and order your drink from there. And when your stomach grumbles, go get some fajitas, fried shrimp, fried chicken or mahi-mahi. Paired with French fries and salads. While at it, grab a cold pina colada or a mango daiquiri. There are two eating areas within the port, one at the swimming pool and the other in the shopping area. With $30-50 per person, you can have a decent satisfying meal at any of these venues. Once done visit the shopping area for your souvenirs, the famous Dominican cigars, and art. Though hanging at the cruise port all day might be all the fun that you need on your port day, sometimes you need to live a little. And the towns surrounding cruise ports most of the time carry all the magic of the place. 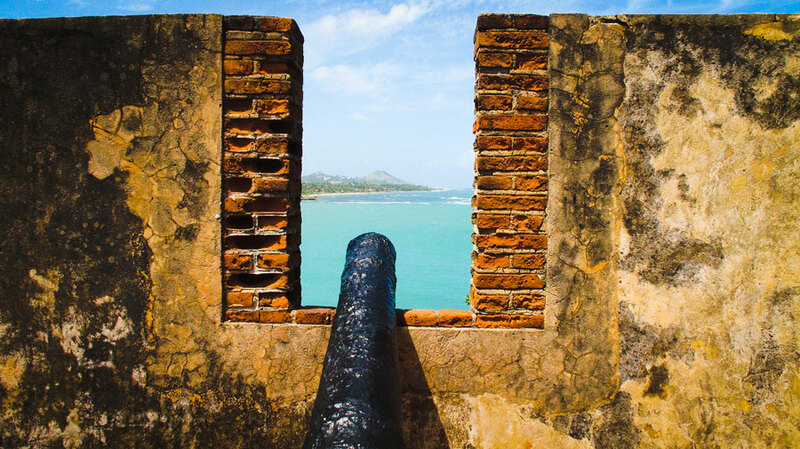 Towns like Puerto Plata offer rich historical backgrounds, cultures and adventurous excursions. If you love exploring the history and culture of the ports you visit, then this excursion is for you. Carnival cruises and some local tour operators like Outback Tours offer this excursion. An open-air bus takes you through the town and countryside of the Dominican Republic. Where friendly, knowledgeable guides teach you about the history, plant and animal life on the island. Visiting local country homes, and learning their way of life. Get all your cruise accessories from Amazon right here before your cruise vacation. You also visit the museum and learn about the history of Dominica. Some interesting things you can learn, include the town’s pirate and smuggling history. Additionally, you get to see how coffee/chocolate grow and how they are harvested. At the end of the tour, you get to enjoy a delicious free lunch and you are then dropped off at a secluded beach. Where you’ll get a chance to swim, splash, boogie board or soak in the sun. Take the free massages offers at the beach and relax with a cool coco loco drink. Excursion goes for $95 Adults and $80 kids. Tip: If you have back or neck problems, you will want to avoid this tour as the roads taken are off the beaten track and are quite bumpy. This is a unique fun adventure, unlike most water sports. On this excursion, you will get to visit the waterfalls of Damajagua. There are cascades of clear waters and natural water slides. This trip will start with a hike through the hills and the beautiful landscape of Puerto Plata. Going through canyons and narrow pathways to finally get to the waterfalls. Once there you will jump, slide and swim in the beautiful natural clear sparkling waterfalls water-pockets. This trip will cost you $90 for a child and $100 for an adult, but it will be money well spent. One of the easiest ways to explore the Caribbean offshore coral reefs is through a catamaran. This boat ride allows you a better view of Puerto Plata’s coastline. It takes you to Sosua’s offshore coral reefs where you can snorkel exploring the colorful corals bursting with life. Purchase all your travel Snorkel gear by clicking here. The tour starts with a 45 minutes bus ride which is a bonus in itself as you get to explore, see and learn the history of Puerto Plata via the charming guides who entertain you all the way. The catamarans you ride are luxurious and give off a millionaire VIP kinda vibe. They take you to two great snorkeling spots. Best of all you needn’t worry if you are not a swimmer. The guides on this excursion will provide you with life vests that will give you buoyancy. Allowing you to explore and swim with the beautiful colored fish. Enjoying your time in the water. For the price of $80 an adult and $65 for kids, you also get free lunch and drinks on board with this excursion. Visit the ocean world center and have a fun day dancing, hugging, swimming and petting dolphins, which will also kiss you on your cheeks. If you have never done this before, you will want to try this excursion out. It might even turn out to be the highlight of your day at the port. Additionally, you will get to have a bird, shark and sea lion show at the same place. For roughly $140 per person this 30 minutes excursion, though, short, will create lasting memories. This activity is for the high-adrenaline, adventure-seeking junkie. The ATV excursion takes you through Puerto Plata, and the islands hilly side. Explore the rugged terrain, hills, and countryside of the Dominican Republic. Tip: Carry your bug repellent, shades and a bandana for your face, you will get muddy!! From seed to chocolate. Find out how chocolates are made and make them yourself. This tour will take you on a 40 minutes bus ride to Altamira town. Once there you will be taken to the greenhouses, where you will learn how to plant cocoa seeds and actually do it. You will then head on over to the chocolate factory. Where you will meet some wonderful enterprising women who make the chocolate and package them. Your guides will help you out the entire time, by interpreting the whole process. The best thing about this excursion is that it’s a noble activity that helps give back to that small community of hardworking women. You will part with at least $70 for this excursion but it’s well worth it, giving back to the community. Plus you will learn everything about chocolate and get some free samples. If you are an adventurous-at-heart kind of person, you won’t want to miss this countryside, ziplining and horseback tour combo. This excursion gives you a tour through the town of Puerto Plata, where you get to see the quaint countryside, learn about the Dominican culture from entertaining guides. The bus takes you to the adventure park, where all the adventure begins, by you ziplining through 7 zip lines over the forest. To get to the park below, and onto the gentle and well-trained horses. Who will take you for a closer look at the best of mother nature and later take you to the beach? This amazing tour ends with you going to the fruit and fauna park. Where you get to explore various fruits and plant species. This excursion costs about $109 for Adults and $104 for kids. The price includes a nice Dominican style lunch and drinks. While Amber Cove itself doesn’t have a beach. A beach day is booked as an excursion for this cruise stop. For roughly $70 an adult and $50 a kid, you will be taken to a secluded private inlet beach known as Coconut Cove. To get to this beach, you will go on a 45-minute bus ride from Amber Cove, be warned the trip can be a bit bumpy and rough. Once you get to the beach, you will get a beach lounger, umbrella, lunch and drinks with that price. You can then relax and soak in the sun, or have a swim in the warm blue ocean waters. There are also some free water activities that you can undertake while at the beach, or rent out paddleboards, jet skis and other water toys. While coconut cove is a good beach, the better option would be Sosua beach, located about 30-minutes away from Amber cove. Sosua is located between Puerto Plata and Cabarete Bay. It has a long stretch of beach, where you can relax on lounge chairs and soak in some sun, splash in the crystal blue ocean waters or go snorkeling a few yards into the waters off the beach. Get your sunscreen and bug spray from Amazon because on the ship they can be expensive. It’s great for water sports, like snorkeling in the Sosua coral reef, paddle boarding, kayaking, jet skis, parasailing and more. There are plenty of water gear rent out shops on the beach. Try booking an excursion to this beach with your cruise line, if they don’t offer it they will connect you to a trusted local tour operator. If you are excellent in Spanish and have been to this port before then you can venture out on your own. By taking a taxi or a bus ride to the beach and booking an all-day beach pass at any one of the beachfront resorts. Which usually ranges between $6-$20 for a beach umbrella, lounge chairs and drinks. While on the beach, you can eat at the resort, or the food shacks located everywhere on the beach (at your own risk). Enjoy Dominican cuisines and cold creative Caribbean coconut drinks. While on this beach, you can also get a real authentic shopping experience. Other beaches include RIU beach which is right next door to Amber Cove and Confressi beach which an hour away, but they are not as nice as Sosua or Coconut Cove. 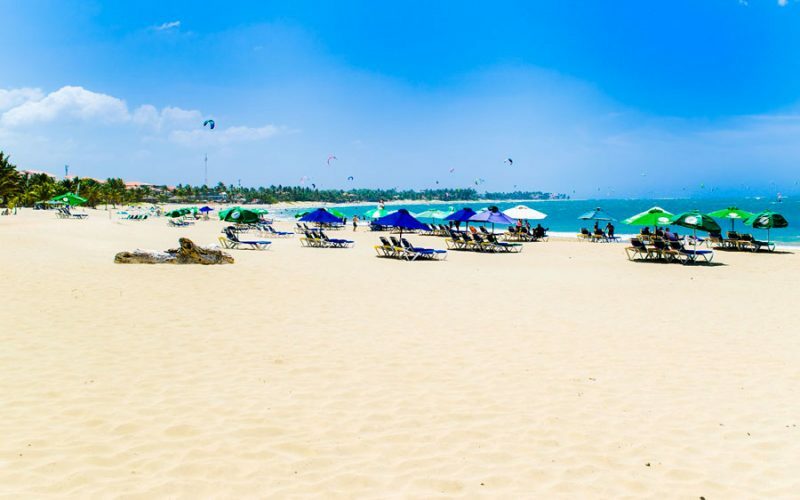 The warmest months in the Dominican Republic are from June to October. Where the weather varies between 73F to 81F. With the hottest month being July, with temperatures getting as high as 81F. The best month to enjoy the ocean waters, and long sunlight periods is in August. If you don’t like rain on your vacation, then you should probably avoid visiting this island in December and May which are the wettest months. Cold months on this island are from November to April. Hurricanes which rarely happen, occur between may and November, but don’t worry about this fact. Your cruise ship would never dock at the port if there was even the slightest indication of a storm coming. Because the ship’s main goal is to see you enjoy your cruise vacation. Amber cove is an activity-packed cruise port. Other than the things you can do at this Carnival cruise port. There are additional things such as visiting the San Felipe Museum. Riding the cable car (Teleferico) up to Pico Isabel de Torres the highest point in all Dominican. Dancing the merengue, a traditional way to dance in the Dominican Republic. Roll your own Dominican Cigar, learn how to make rum and more. On your next cruise to Amber Cove, enjoy this beautiful port and if you come across another adventure that we should add here, let us know. As always have a blast on your vacation. Happy Cruising! !